ACCOMMODATION - Stay 3 nights at the centrally located Majestic Roof Garden Hotel with its custom-made king-beds, deep bath and FREE Wi-Fi only a short distance from the ever-vibrant Rundle Street. Close to a huge variety of bars, restaurants and eclectic shopping, you can walk 5 minutes to Rundle Mall or 10 minutes to the Art Gallery, Adelaide University and Museum. 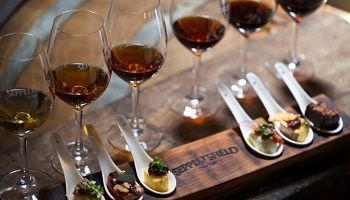 The Adelaide Convention Centre, Adelaide Oval, Central Markets and Adelaide Zoo are about a 15-minute walk away. 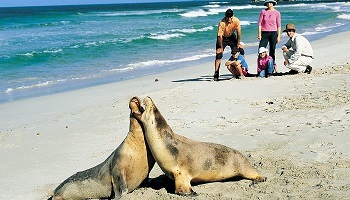 Enjoy a full day Kangaroo Island Wildlife Discovery Tour. Journey south through the rolling hills along the Fleurieu Peninsula coastline to Cape Jervis to board the catamaran for the crossing to Kangaroo Island. Upon arrival on Kangaroo Island be met by your guide where the island nature experience begins with an introduction to Kangaroo Island. Tour through several island habitats and see wildlife in its natural environment. 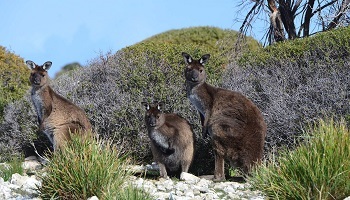 Kangaroo Island is a haven for Australian wildlife, which exists in its natural habitat without the threat of introduced predators. Keep an eye out for echidnas, wallabies, reptiles and wildflowers, and the many species of birds. Walk among the sea lions at Seal Bay as they bask on the beach or among the sand dunes after their extensive fishing expedition. Enjoy a delicious picnic lunch with wine. Travel through the island's interior keeping an eye out for koalas and echidnas. 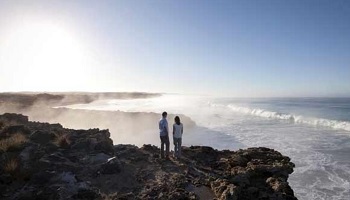 Explore the beaches of the north coast and take a bushwalk. Later in the afternoon as the day draws to a close, see the kangaroos and wallabies leave the safety of the bush to begin grazing on the open pastures. Your tour concludes at Kingscote Airport to connect with the flight to Adelaide & transfer to your hotel. 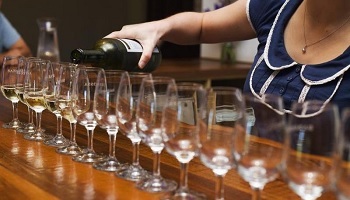 Enjoy a day of great wine, picturesque views, meet interesting characters and enjoy a lovely lunch with new found friends on this interactive small group tour. 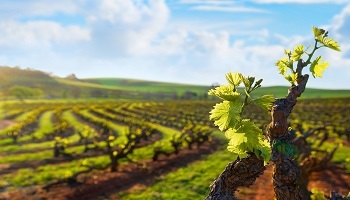 Visit some of the Barossa's iconic locations including Maggie Beers, Mengler Hill lookout, Barossa Cheese Company, Seppeltsfield, Grant Burge, Jacobs Creek and Kalleske Wines. This morning you will be transferred by car service to Adelaide Airport for your onward Virgin Australia flight. Seats are limited and may not be available on every flight. Hotels are subject to availability. All prices reflect a discount for purchases made by cash/wire transfer/check, please see terms and conditions for credit card payments. There are no discounts for payment made by credit cards. Cancellation penalties and other restrictions apply.